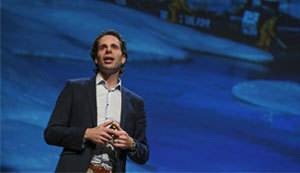 Mark Beaumont, 33-year-old ultra-endurance adventurer and documentary maker who has travelled to 130 countries, can now add BSAVA Speaker to his list of achievements, as he headed up a talk at the BSAVA Congress on Thursday. Having completed secondary school and his early cycling achievements, Mark went to Glasgow University to study economics, which was leading him down the career path of becoming an Accountant or returning to rural Scotland to be a farmer but he decided he’d begin with another two-wheeled adventure. To most people cycling 18,000 miles around the world is unimaginable but once Mark decided to do it there was no stopping him. Not only did he cycle around the world but he completed it in just 194 days which smashed the previous world record. Mark then cycled down the length of the Rockies and Andes and has also climbed the highest mountains in Alaska and Argentina. And his adventures don’t end there. Off the bike, Mark attempted to row across the Atlantic Ocean from Morocco to Barbados in a bid to break the world record in 2012. Mark and the team then spent a very long 14 hours in the water fighting for their lives when eventually a Taiwanese cargo vessel managed to rescue them. “Getting onto the huge vessel in the middle of the night was almost as hard as being in the water for 14 hours, it was an ordeal to say the least” Mark commented. “That’s not the only one of my expeditions to have failed, in fact around a third of my trips haven’t gone to plan but I think it is important to fail in order to learn from it. 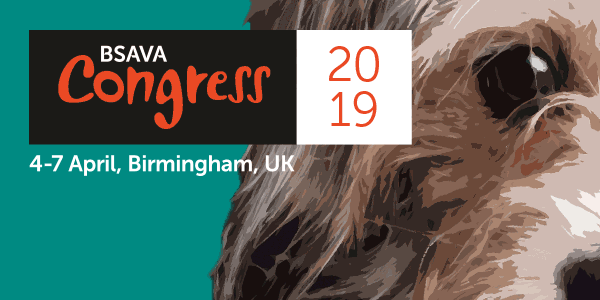 With a large number of university friends who are vets from university attending, Mark was delighted to speak at the BSAVA Congress. So what’s next for this boundary pushing, straight talking and motivating endurance athlete?